Go outside, see some friends, read a book, listen to some music. Once your friend has received the invite to Genbook, their email address will appear in the Email column of the table, with the Status ‘Invited’. If they choose to start a free trial, their Status will change to ‘Free Trial’. 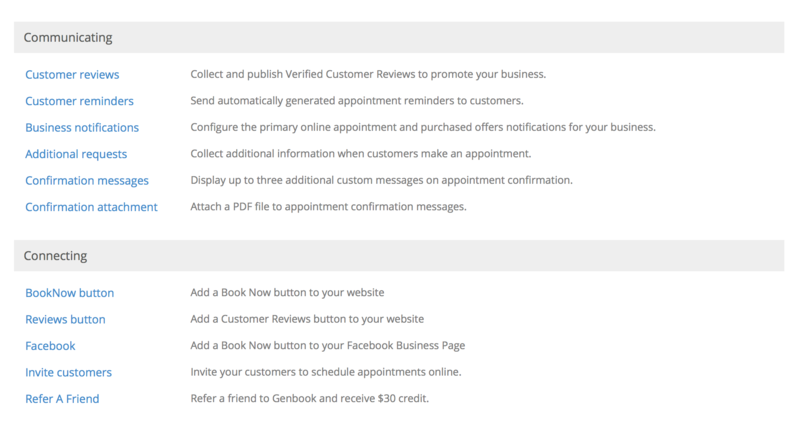 If they decide to start paying for Genbook after the free trial, their Status will change to ‘Paying’. And if they finish the free trial, but don’t continue using Genbook, their Status will change to ‘Lapsed’. Invite more friends to Genbook to receive more credit! There’s no limit to the number of people you can invite. The credit you receive goes towards your Genbook subscription, so you could be getting a whole year of Genbook for free! In the Credit column, you will be able to see whether you’ve received credit for that referral. Above the table, you can see how many people you have referred, how much credit you have available, and how much credit you have received in total. Remember: There’s no limit to the number of people you can invite, so share your unique referral link everywhere, and spread the Genbook love! Refer a friend today!